Spanish painter. 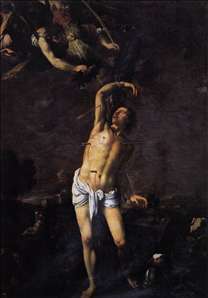 In his youth he was a friend of El Greco s son, but his art holds closely to the course set by Bassano and Ribalta. 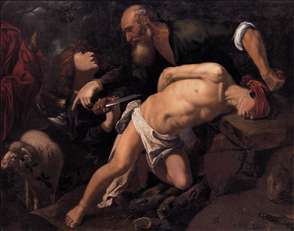 Chiaroscuro is the principal element of his style, particularly in the paintings of his maturity. For the greater part of his life Orrente lived in Valencia and, in fact, became a member of the Valencian school. He painted numerous Biblical scenes in which the landscapes have a certain importance. 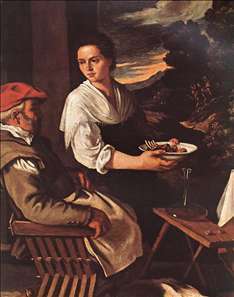 These are dominated by the brownish and reddish tones popularized by Ribalta. 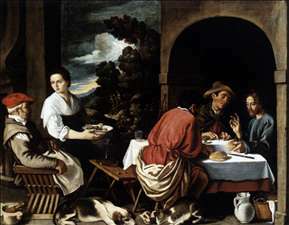 See more details about "The Supper at Emmaus"
See more details about "Christ at Emmaus "